Alexander Hamilton in the famous Federalist Papers called judiciary the ‘least dangerous branch’. Perhaps it was then. It is not the case today. Be it a retired judge of the Supreme Court, a multi-billionaire businessman, regular state machinery or a sitting high court judge, the judiciary carries a tool to execute its orders and to protect its dignity – contempt of court. Contempt is chiefly civil or criminal. Civil contempt refers to willful disobedience of an order passed by a court. Criminal contempt implies any act or expression that scandalises or tends to scandalise, or lowers or tends to lower the authority of any court or prejudices, or interferes or tends to interfere with, the due course of any judicial proceeding; or interferes or tends to interfere with, or obstructs or tends to obstruct, the administration of justice in any other manner. There are three main statute books/ provisions one must be aware of for a better understanding of the discussion that will flow – Articles 19(2), 129, 142 of the Constitution, the Contempt of Courts Act 1971, and the Rules to regulate proceedings for contempt of the Supreme Court, 1975. A 2006 amendment to the 1971 Act clarifies that the court may impose punishment for contempt only when it is satisfied that it substantially interferes, or tends to substantially interfere with the due course of justice. While the expression ‘scandalising the court’ has been borrowed from the UK, the British Parliament itself abolished the offence of scandalising the court via statute in 2013. I recently wrote on how Justice Hidayatullah found notable politician and the first chief minister of an elected communist government ever EMS Namboodiripad guilty of contempt. The Supreme Court recently convicted Justice Karnan guilty of contempt and punished him for six-month imprisonment, maximum under the 1971 Act. Read here, here, here and here for a quick flashback. Let us see the conduct of Justice Karnan which led to this and then I will raise a few questions and try to find their answers. Justice Karnan was appointed as a judge of Madras High Court in 2009 and is due to retire on 12.06.2017. In 2011, Justice Karnan wrote to the National Commission for Scheduled Castes (NCSC), alleging that he faced caste-based harassment from brother judges at Madras High Court. He also addressed a press conference on the matter from his chambers where he also charged that at a marriage function, a brother judge crossed his leg deliberately touching his. Then NCSC chairman forwarded Justice Karnan’s letter to then Chief Justice of India (CJI) Justice Kapadia. No one knew then that it was just the beginning. In 2014, Justice Karnan barged into a court room at Madras High Court during a hearing before a special bench of a PIL on a matter relating to the appointment of certain judges. He told the bench in an open court that the selection was unfair and that he wanted to file an affidavit in his name. Justice Karnan also wrote to Justice Sathasivam and Justice Agarwal, stating that he wished to stay on in Madras High Court, ‘in order to fulfill his obligation to prove the allegations that he had raised against the chief justice and the other judges of the high court’. Justice Karnan subsequently wrote to the joint registrar of the RTI section at Madras High Court, alleging irregularities in the appointment of district judges. He sought details of the selection process ‘in order to file a complaint before the President of India’. Meanwhile, 20 judges of Madras High Court jointly wrote to the CJI requesting Justice Karnan’s transfer. In 2015, next Chief Justice of Madras High Court Justice Sanjay Kishan Kaul (now a judge in Supreme Court) constituted a committee to interview candidates for the recruitment of civil judges. Justice Karnan initiated a suo motu writ proceeding in which this chief justice’s administrative order was stayed and the Public Service Commission chairman was restrained from conducting interviews. He also ordered the CBI to look into another member judge’s educational qualifications. The very next day, Justice Karnan’s suo motu order was stayed by a division bench of the high court. 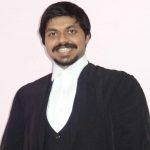 Nevertheless, few days later, Justice Karnan reiterated his previous order, violating the division bench’s stay order and also threatened the Chief Justice that he would initiate contempt proceedings against him if he interfered in his jurisdiction. The Madras High Court registry immediately moved the Supreme Court asking for a stay on Justice Karnan’s order. A Supreme Court bench headed by then CJI Justice HL Dattu stayed Justice Karnan’s order. Unaffected, Justice Karnan in the same month accused a brother judge of sexually assaulting an intern within the premises of the high court. In November 2015, Justice Karnan wrote to the Chief Justice of Madras High Court with copies to the CJI and to the President of India, accusing then CJ of giving him “insignificant” and “dummy” portfolios and expressed the desire to go on long leave. He sent another letter to the then Law Minister criticising the collegium system as one that produced nepotism and favouritism. He also sent a letter addressed to the Principal Accountant General in Chennai, instructing him to find out if any financial irregularities had been incurred by the Chief Justice and the Registrar General of Madras High Court. Left with no other option, in February 2016, the Supreme Court transferred Justice Karnan to Calcutta High Court. Justice Karnan, however, acted swiftly and stayed his transfer order and instead asked the CJI to file a response on his transfer order and to not interfere in his jurisdiction. The Madras High Court registry approached the Supreme Court, seeking an order to restrain Justice Karnan from issuing such an order. The Supreme Court stepped in, quashed Justice Karnan’s stay order and ordered Madras High Court to not assign any work to him. The Supreme Court also ordered a blanket stay on all orders passed by Justice Karnan thereafter, but allowed him to contest the petition filed by the Madras High Court registry. Justice Karnan met then CJI Justice TS Thakur and within a week, furnished a letter of apology to him for staying his own transfer order. Interestingly, there he attributed his actions to “loss of mental balance due to mental frustrations,” over alleged caste discrimination against him in the high court. He agreed to his transfer to the Calcutta High Court, stating that his transfer warrant signed by the President of India had already arrived. Few months later, Justice Karnan (now a sitting judge of Calcutta High Court) wrote to the Supreme Court registry, requesting that he be allowed to argue the Madras High Court transfer case himself, which was accepted. Perhaps as the last nail in the coffin in early 2017, Justice Karnan wrote to the Prime Minister making allegations of corruption against 20 high court and Supreme Court judges. He also alleged that illegal money was recovered from some high court judges after the government announced demonetisation. Perhaps, tired by now, the Supreme Court deemed it appropriate to trigger suo motu contempt proceedings against Justice Karnan. CJI Khehar assembled a bench of seven senior-most judges and issued notice to Justice Karnan and sought assistance from Attorney General Mukul Rohatgi. Justice Karnan was further stripped of his judicial and administrative work. No one knew then, the unfortunate events which were to flow. In the letter written to the Secretary General, Karnan accused the Chief Justice-led bench of upper caste bias in initiating proceedings against him. Justice Karnan refused to attend the contempt proceedings and instead asked for a compensatory amount of Rs 14 crore from the seven-judge bench for “disturbing his mind and normal life”. The Supreme Court was forced to issue a bailable warrant against him to ensure his presence in court for the next hearing on March 31. Justice Karnan appeared and during the hearing, he requested that the CJI should restore his judicial work. He further informed the bench that he would not attend the next hearing, and that the court may arrest him if it pleases. When he reiterated that he was not medically fit, the Bench told him to furnish a medical certificate to that effect. This came next - Justice Karnan “ordered” the seven-judge bench to appear before him at his “residential court,” to face proceedings for insulting him in open court, issued non-bailable warrants against the seven judges ordered the CBI to probe his allegations against them, directed the Air Control Authority to restrain the seven judges from flying abroad and finally convicted the bench under the SC/ST Act for a term of 5 years. The Supreme Court, on the other hand, directed that no authority is required to take cognizance on any orders issued by him and also ordered that he be administered a medical test which Justice Karnan declined. Conclusively, Justice Karnan has now been found guilty of contempt and has been sentenced to serve 6-month imprisonment and media has been banned from publishing any of his statements with a detailed order to follow later. Under what law was a bench of seven senior-most judges of the Supreme Court constituted to hear and decide contempt? Should the Supreme Court have referred the matter to Parliament instead of proceeding against Justice Karnan itself? What is the exact relationship between a high court and a Supreme Court, both constitutional courts but former is subject to appellate jurisdiction of the latter? Lastly, whether the conduct of Justice Karnan was contemptuous enough to warrant the punishment rendered? Let me take liberty to discuss answers to these issues in Part II of this piece. Till then, fingers crossed!